For companies looking for team building and entertainment, THEY improv provides improv comedy, game shows and murder mystery dinners for entertainment options for a variety of groups and gatherings throughout Washington State. Seattle corporate events, private parties and banquets with HR-friendly entertainment in the Jet City are our specialty. With a variety of shows to fit almost every need, THEY improv is prepared to help you with your Seattle corporate event, banquet or private party. Let THEY improv provide you with a quote for a tailor-made Seattle corporate event, banquet or private party that will help you to achieve the success that you are looking for. Throughout the state of Washington, THEY can present a selection of private parties that have entertained many top companies nation-wide. Why not let them provide you with an evening of entertainment for your Seattle corporate event that will not soon be forgotten? And this goes for the entire area, whether you are looking for a gathering in Pike Place Market, the Waterfront, the Retail Core, Pioneer Square or anywhere else in the Jet City. From game shows to murder mysteries and improv comedy, there is something that can help your company with their holiday party, celebration or team building needs. We are proud to serve the entire area of the Jet City including Seattle Center, Queen Anne, Belltown, Waterfront, Pike Place Market, West Edge, Fremont, Retail Core, Pioneer Square, Ballard, Denny Triangle, Chinatown International District and everywhere else such as Bellevue, Enumclaw, Federal Way, Kent, Kirkland, Medina, Mercer Island, Redmond, Renton, Sammamish, SeaTac, Tacoma, Tukwila and Woodenville. We perform at the venue of your choice. "Have Laughter, Will Travel". Look to THEY improv to provide your needs. 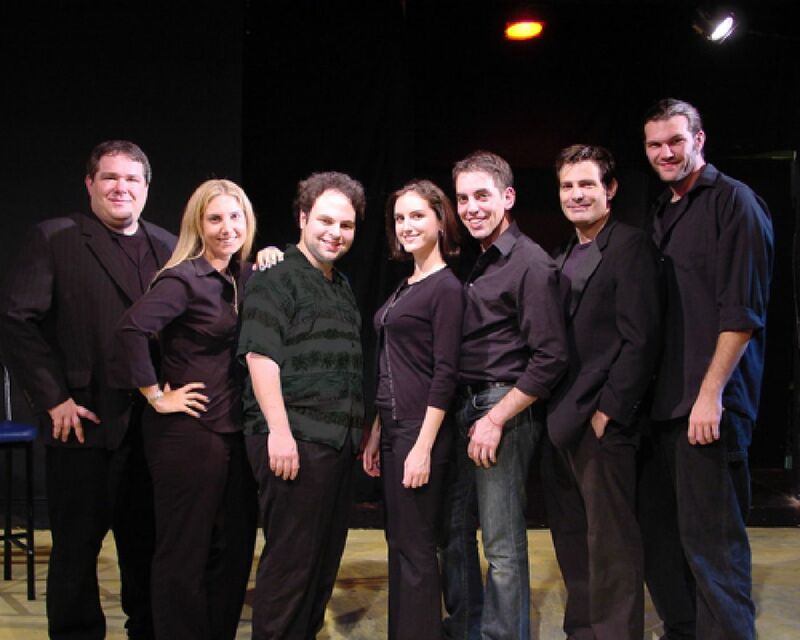 Please contact us for information about booking THEY improv by email at info@THEYimprov.com or call (206) 414-7420.